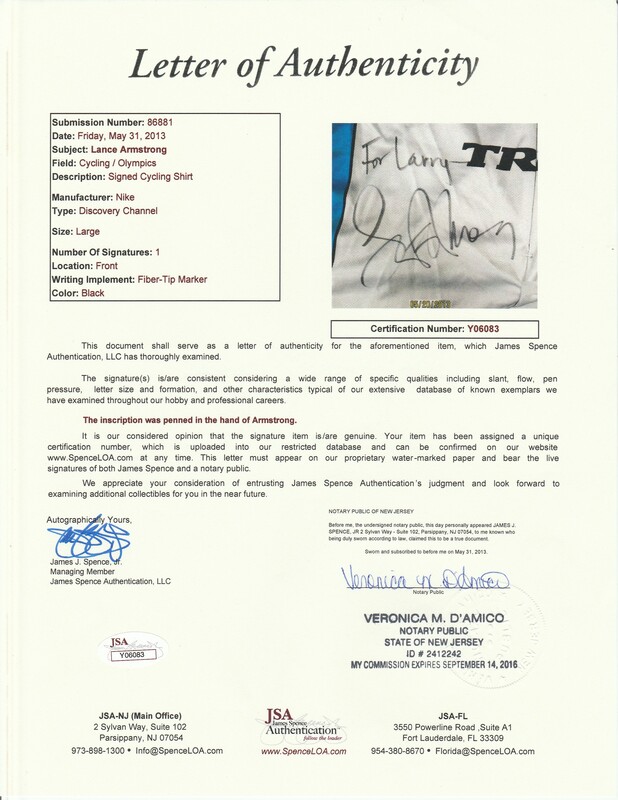 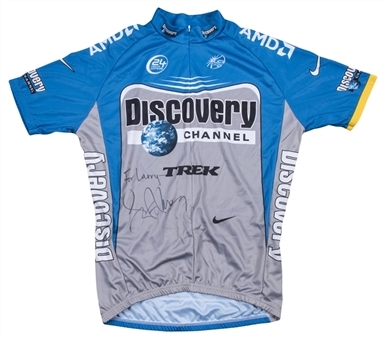 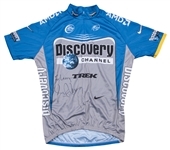 Lance Armstrong, the most famous cyclist in the world, has signed this Discovery Channel Pro Cycling Team jersey. 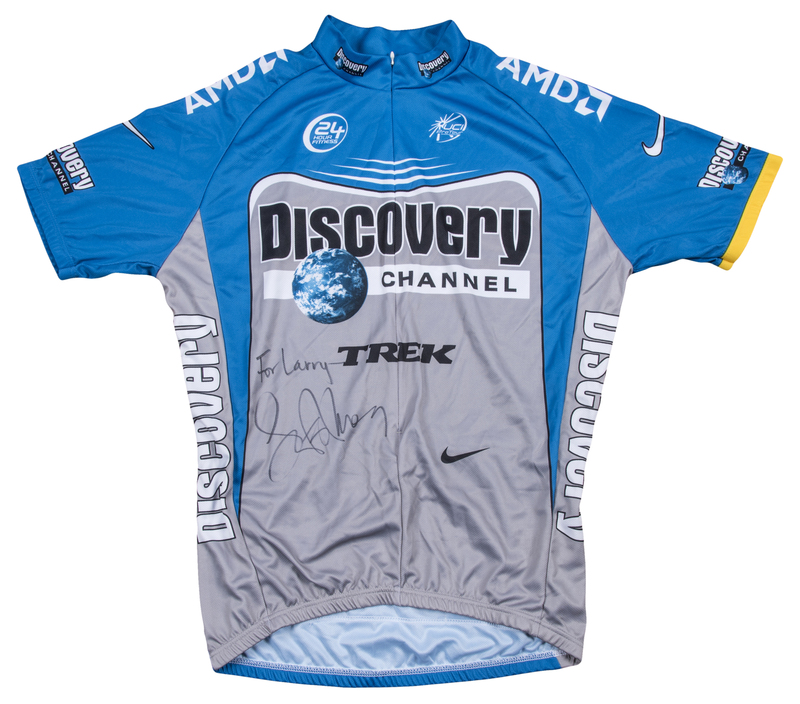 Armstrong, a seven-time winner of the Tour de France, raced most famously for the United States Postal Service Team, which later became the Discovery Channel team. 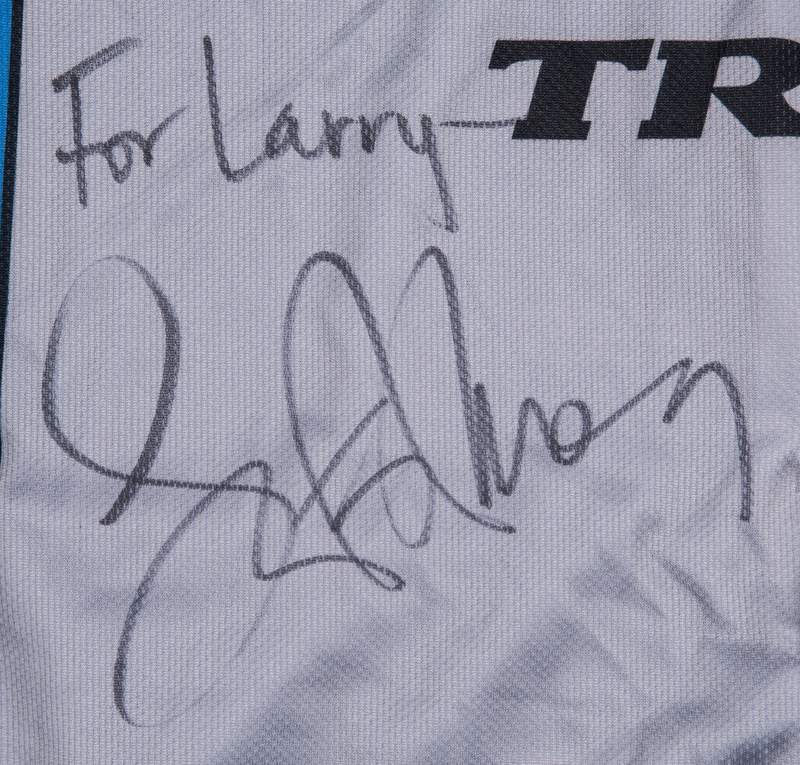 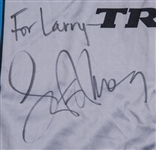 Armstrong has signed the chest of this jersey in black marker, inscribing “For Larry-“ above his signature. 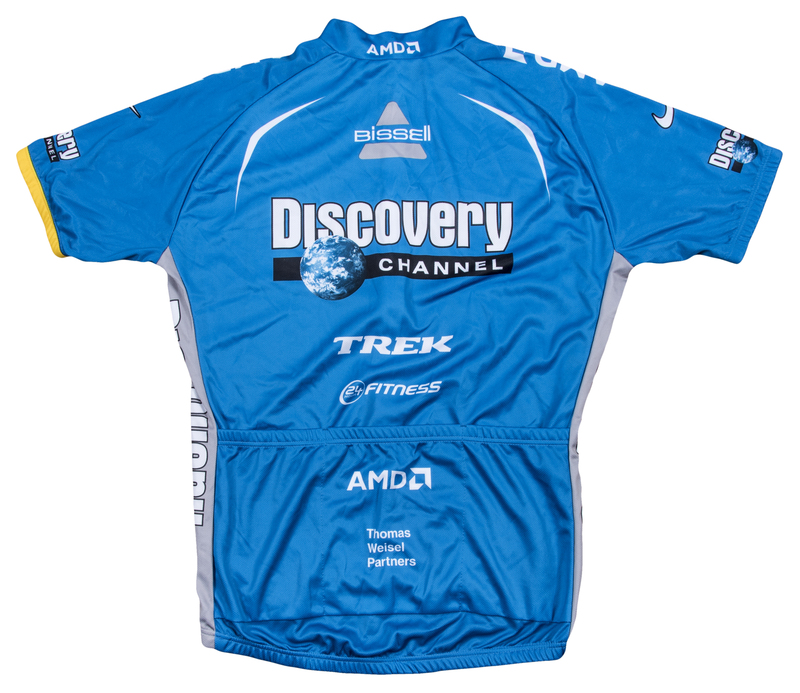 This cycling jersey comes with a LOA from JSA (Y06083).